Follow the steps below to locate your project's Captions Settings. 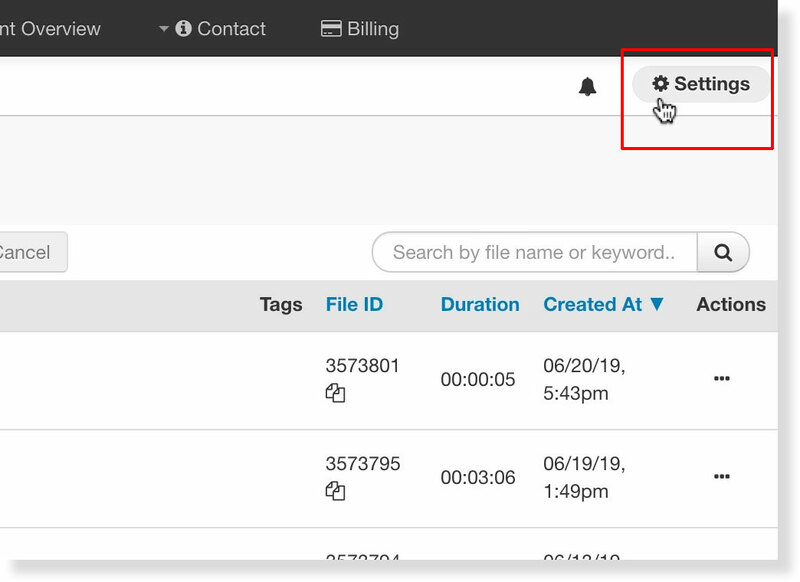 Before editing the SMPTE settings for your 3Play Media files it may be necessary to change the account's Captions Settings in order to override the current SMPTE settings of a file. Click Captions Settings located on the left-hand side of the page. 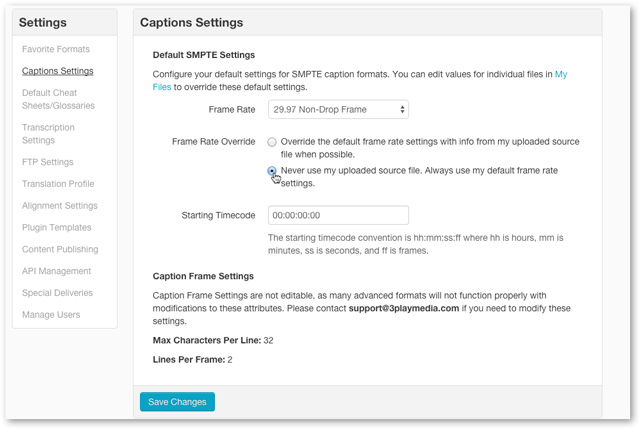 The Captions Settings enables users to configure the Default SMPTE Settings for SMPTE-based close captions. From the drop down menu, select a default Frame Rate. 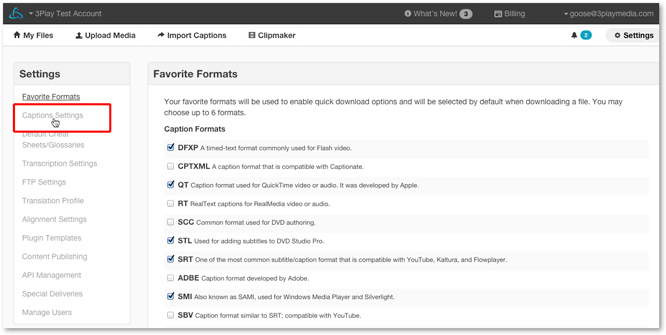 This will apply to all of your SMPTE-based closed captions formats when they are downloaded from your account. If the frame rate for an individual file or batch of files needs to have the frame rates adjust the Frame Rate Override will need to be set to Never use my uploaded source file. Always use my default frame rate settings. A custom starting timecode can be entered here for your SMPTE-based closed caption files. After making changes to your Captions Settings click Save Changes.